Our friends at Bell just sent us an email announcing that they will be the exclusive carrier of the Samsung Galaxy S II HD LTE. This will be the one of the first phones in Canada to sport a 720p screen as well as support for 4G LTE (the other being the HTC One X). 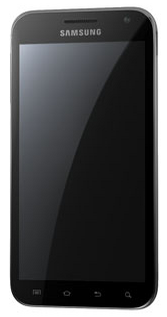 At 4.65-inches with a 720p Super AMOLED HD screen this is very similarly speced to the Samsung Galaxy Nexus. Check out the official press release after the break. MONTRÉAL, April 18,2012 – Bell and Samsung today announced the upcoming exclusive launch of the new Galaxy S II HD LTE superphone – the only Galaxy S II device to feature dual-core processing, 4G LTE and an HD display. Leveraging Bell’s next-generation 4G LTE network, the Samsung Galaxy S II HD LTE offers superior web browsing, downloading, file sharing and high-quality video streaming. When outside 4G LTE coverage areas, the Galaxy S II HD LTE switches automatically and seamlessly to the fastest available HSPA+ network speeds. Please visit Bell.ca/Coverage for detailed information about Bell’s network service areas. The Samsung Galaxy S II HD LTE brings videos to life in stunning 1080p HD quality thanks to its 4.65” (118mm) HD Super AMOLED display. And 26 live channels, the best live sports, and an extensive library of on-demand content on the industry-leading Bell Mobile TV service, customers can also have instant access to their favourite programming. The Galaxy S II HD LTE is upgradeable to Android 4.0. This update will be available in coming months. Ready for business, the Galaxy S II HD LTE supports e-mail, contact and calendar synchronization alongside state-of-the-art security features including IP-based encryption for safe mobile access to critical assets.